From a Certified Financial Planner, Hal Bundrick, comes this article clarifying the downpayment option ups and downs. You always want the best deal, the biggest downpayment - those things are important to shop around for. The best deal, however, is to get into a house today and start putting your hard-earned money toward your future investment! How Much Downpayment Do You Need to Buy A Home? The down payment. Cue the dramatic, fear-filled suspense music. Yeah, it’s scary. Coming up with enough cash to put down when buying a house is the single biggest roadblock for most hopeful homebuyers. But how much do you really need? Of course, there is one big, juicy caveat: The down payment is not the only upfront money you have to deal with. There are loan closing costs and earnest money to consider as well. Before the dramatic music returns, let’s explore some lower down payment options. You can actually buy a home with as little as 3 percent down. Why did we wait so long to give you that good news? Well, let’s provide the details first before we weigh the pros and cons. The Federal Housing Administration is a government agency charged with helping homebuyers — especially first timers — get approved. The FHA assists mortgage lenders to make loans by guaranteeing a portion of the balance. That’s how you can put less money down — in fact, as little as 3.5 percent. Plus, Fannie Mae and Freddie Mac, the government-sponsored companies that drive the residential mortgage credit market, have announced 3 percent down payments on home loans. Some major commercial lenders are also offering low down payments — and even no down payments — as incentives to spur loan demand. And if you’re an active or retired service member, or live in a rural area, you may have access to zero down payment programs through the Department of Veterans Affairs or the Department of Agriculture’s Rural Development program. It’s always a good idea to ask a lender about down payment options when you’re shopping for a mortgage. So, which is it: Do you want to put $60,000 or $9,000 down on that $300,000 home? Or does zero down make you spring into a happy dance? Sounds like a pretty easy decision, right? But you knew there would be fine print. A lower down payment makes you a bigger risk in the eyes of the lender. That’s why it will look for help from one of those government programs to guarantee a portion of the loan. The thing is, you pay for the guarantee. It’s called mortgage insurance. There will be an upfront fee and likely an ongoing charge built into your monthly payment. 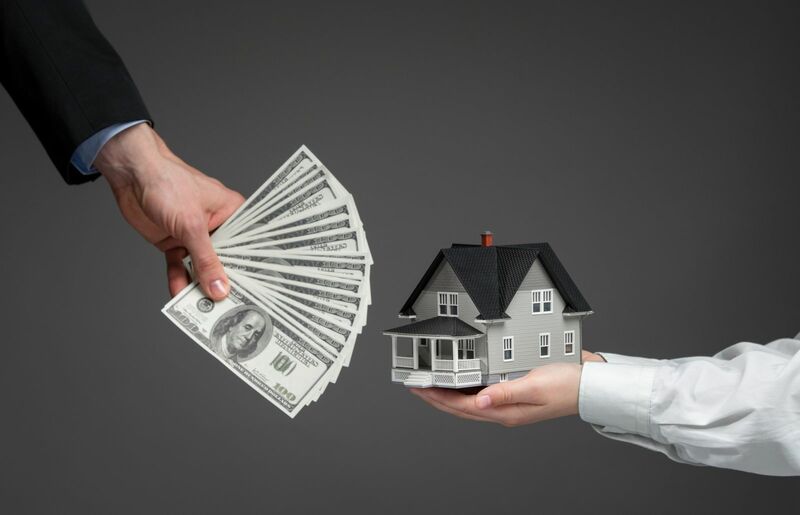 Some of the programs don’t require mortgage insurance, but will charge an “upfront guarantee fee” or “funding fee.” Whatever you call it, a fee is a fee. And as a “higher risk,” you’ll likely pay a higher interest rate for the life of the loan in addition to the other fees. It’s tempting to go with the lowest all-in upfront charges when trying to buy a home. But the key to building net worth is to buy smart, especially when it comes to such a large purchase as a house. Lenders are required to disclose all fees and it’s always a good idea to shop around with multiple mortgage providers to get your best deal. Plus, the more you explore your options, the more you’ll learn about the process. Taking time to compare the fees from different lenders can save you thousands of dollars over the long haul. The down payment is just the first financial hurdle. The monthly payments last a lot longer. Let’s get out of here before that spooky music comes back.